Happy Monday, everyone!! 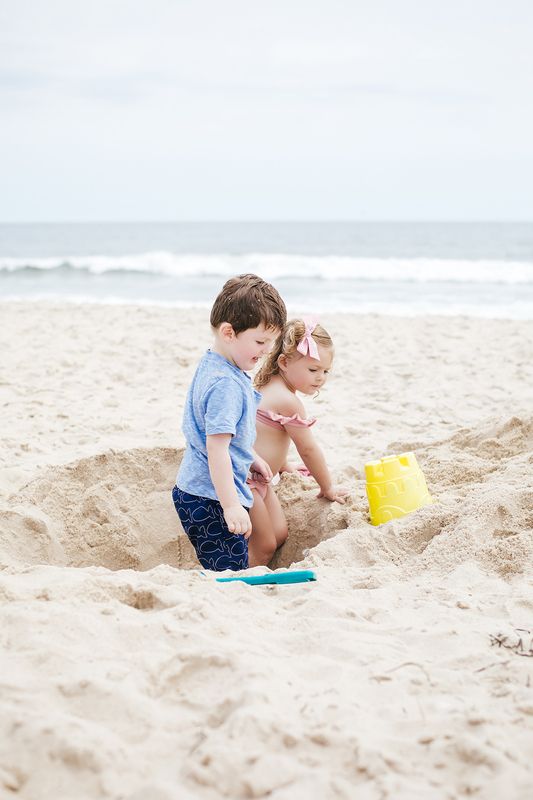 I finally got around to uploading our photos from our time in The Hamptons so this week I’m going to share more! 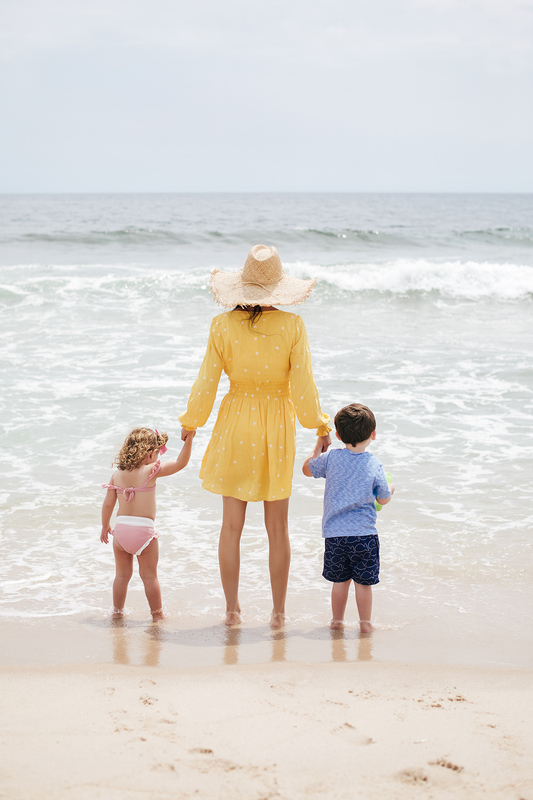 Today I wanted share the details from this outfit I wore to the beach (you might’ve seen it on my Instagram here and here) since I got so many questions about my dress, my hat and my sunglasses as well as my kid’s swimsuits, all from Minnow Swim!! We had such an amazing time and I can’t wait to go back! I hope you all have a wonderful Monday, thanks so much for stopping by!! Stunning photos, absolutely living for the photography! Looks like the kids had an amazing time! I also love that yellow dress! So cute! So cute – love the yellow dress! Love that yellow cover up/dress! And Isla’s little suit is so adorable! I LOVE this hat!! It’s perfect for he beach! This is such a cute beach dress. Love the yellow on you! 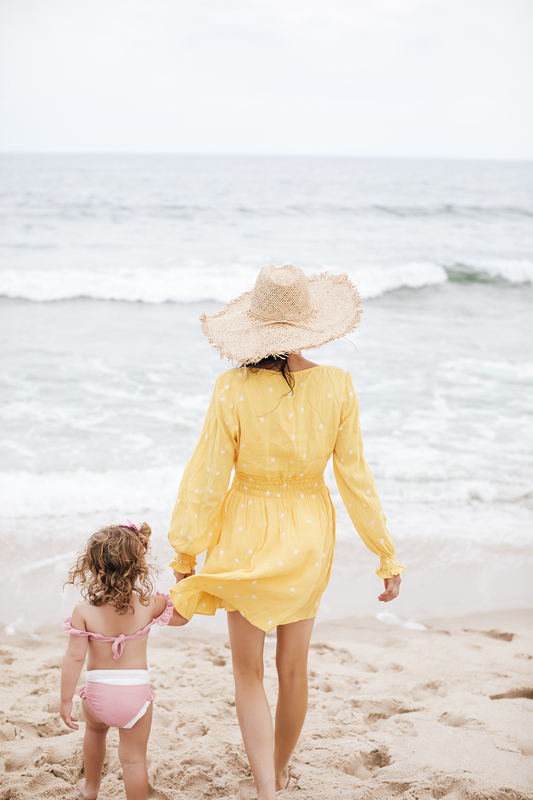 I love this yellow beach dress on you! You always take such fantastic beach photos. 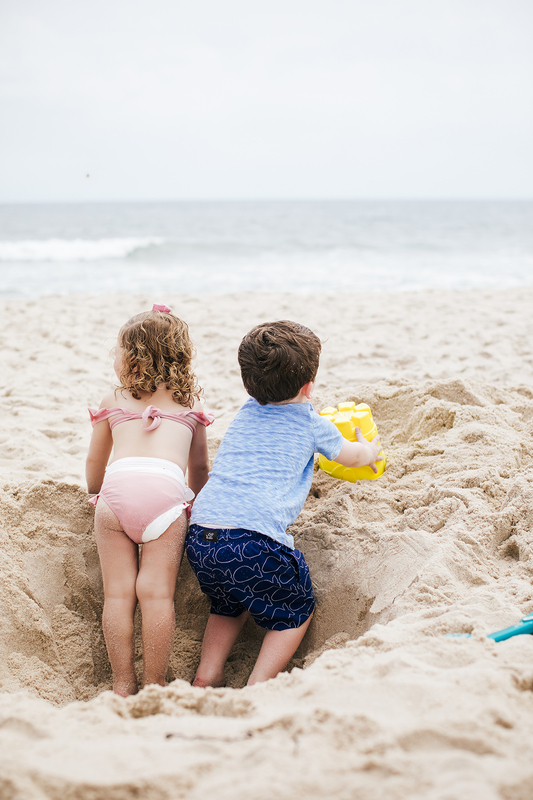 Will you curate a post with your tips for beach photography (maybe even on sunny days v. cloudy days)? Also, your little man is your absolute TWIN!!! He looks soo much like you. Super cute fam! LOVE the yellow coverup! Awww, sweet photos! Looks like a perfect day at the beach! Such a pretty dress, love the yellow color! Love love love this outfit! I like how the simplicity of the beach bag compliments the color of the dress! Adorable. That yellow coverup is so cute on you! Beautiful beach day! Love the coverup and the kids are so cute. Isla looks so adorable!! Looks like a fun family trip! Beach vacations are so much fun. Looks like you all had fun, especially the kids in that big sand pit. 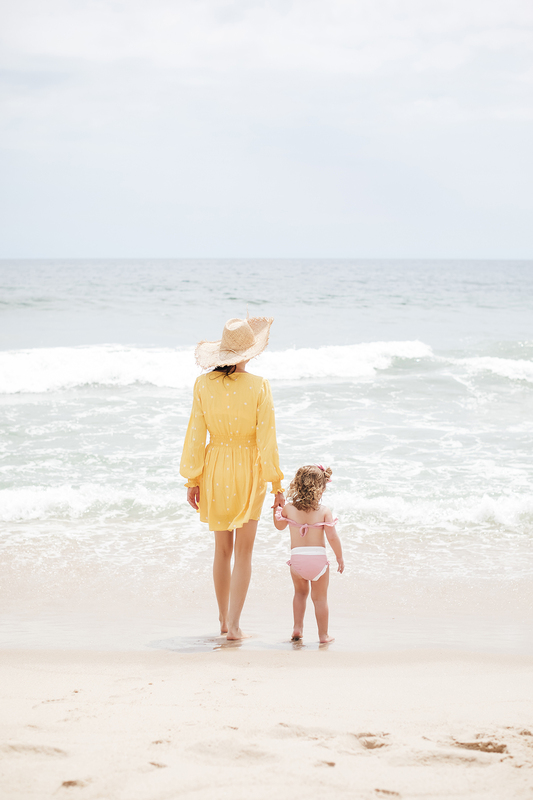 Amazing picture and love your cute beach outfit! too cute Isla stole the show,love her little suit. Isla Rose is rocking that baby bikini!! Too cute! Your family is so darling, Rachel! I love your dress! I don’t know if it’s your sister or friend, but do you know where the blue and white striped tassel cover up if from? love it so much! Love spending time on the beach! You and your kinds look so great! Oh my gosh, Isla’s swimsuit is adorable! Loving your yellow dress too – you look gorgeous! love, love the yellow dress.. I love the beach and love how you made this look so great and flawless.